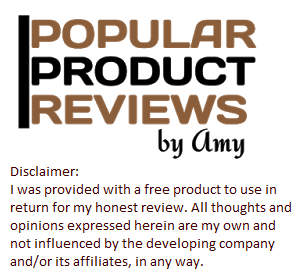 Popular Product Reviews by Amy: Healthy Frying for Father's Day! As my Dad ages and faces health concerns, this Father's Day had me thinking "healthy" version of fried foods my Dad enjoys so much! 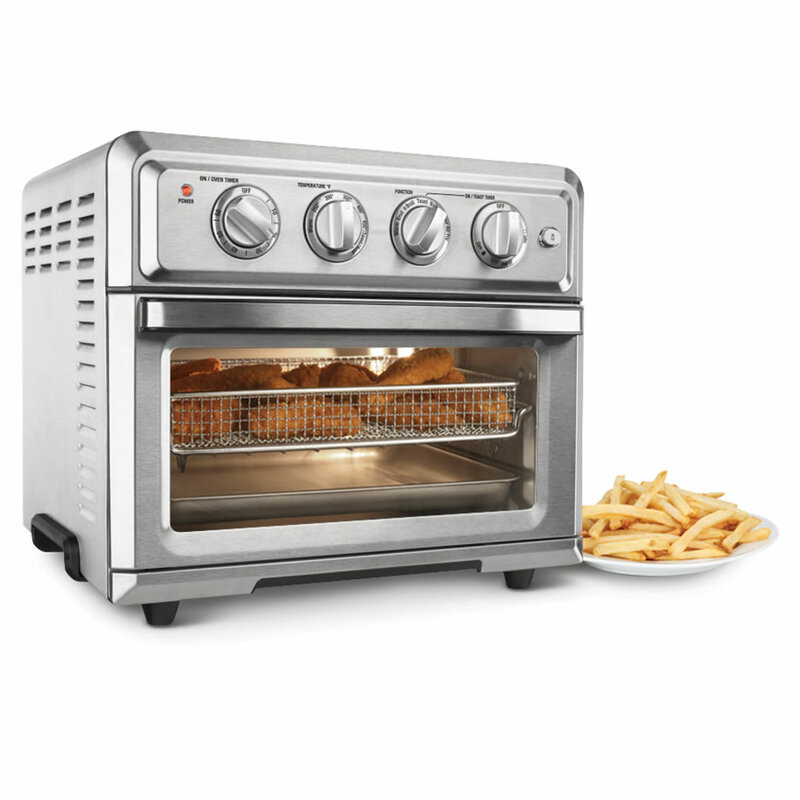 I chose this amazing appliance The Toasting And Air Frying Oven for my Dad on Father's Day. I really like that this is something that he will use daily and can easily manage cooking and cleaning himself. He can quickly toast bread, bagels, frozen waffles for breakfast, broil fish and veggies for lunch and with the fantastic Air Frying feature so he doesn't feel like he's missing out on his long time favorite foods for dinner. As well as reheating anytime of the day! I love that it fits right on the counter and has an auto shut off feature, just in case it gets left on. Everything needed is included so there no need to purchase pans to fit the oven. 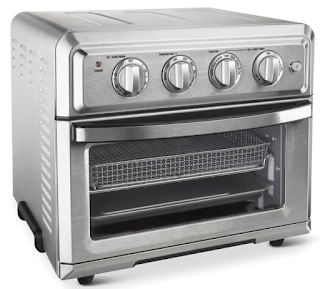 This is the 1,800-watt countertop toaster oven with a built-in air fryer. As a convection toaster oven, it bakes 12" pizzas, broils succulent tenderloins, and toasts up to six slices of crispy bread. As an air fryer, it uses a continuous flow of high velocity, ulta-hot air instead of oil to cook French fries, chicken tenders, and mozzarella sticks with the same gourmet flavor and texture of those produced using oil-based models. With an auto shut-off and interior light. Includes oven rack, baking pan, and fryer basket. This is probably the best, most concise step-by-step guide I’ve ever seen on Healthy Frying. Thank you very much for your contribution. I also want to share a URL of the same resource with you as well as your readers so that you all can find a useful resource on physician in Peabody MA. The post is an engaging profusion of helpful information that is interesting and pleasingly composed. I pay tribute to your conscientious work on this. I also want to share a URL of same resource with your readers so that they can contact us to find out more.